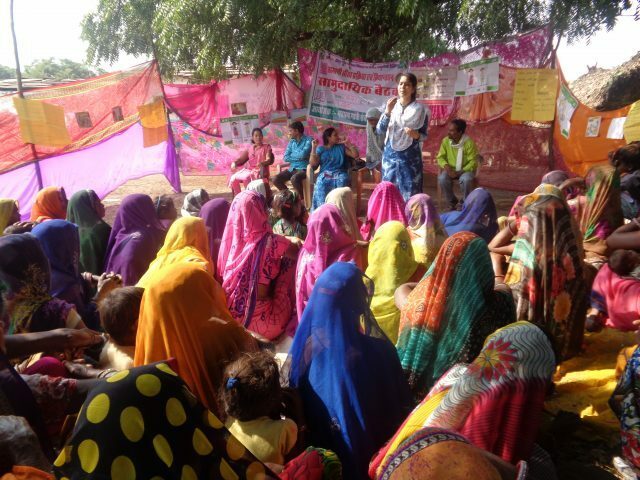 Regular community meetings and participatory learning and action approach have brought about significant changes to the Sawadi village in Sheopur (Madhya Pradesh). Sawadi is a small hamlet, dominated by the Sahariya tribes in Karhal block of Sheopur, one of the districts in Madhya Pradesh with a high rate of malnutrition. 168 families, living in the forest village, are either smallholders, who depend on farming for their livelihood or daily wage labourers. The situation has changed considerably over months through Welthungerhilfe’s food and nutrition security project, which is supported by the German Federal Ministry for Economic Cooperation and Development (BMZ) and GIZ and is being implemented by Mahatma Gandhi Sewa Ashram in Sheopur in collaboration with the district administration. Under the programme, residents of Sawadi have learned about participatory learning and action (PLA) process that involves a series of community meetings, a platform to exchange views and experiences. PLA is an approach that empowers communities to understand issues affecting their lives, help them identify gaps and enables them to plan, monitor, evaluate and reflect accordingly. As in the case of Sawadi, where the women of the hamlet conduct regular community meetings to identify and discuss issues they face and explore solutions. This exercise has resulted in improving the community’s knowledge of health, nutrition, and hygiene as well as of the government services and benefits that they are entitled to receive. 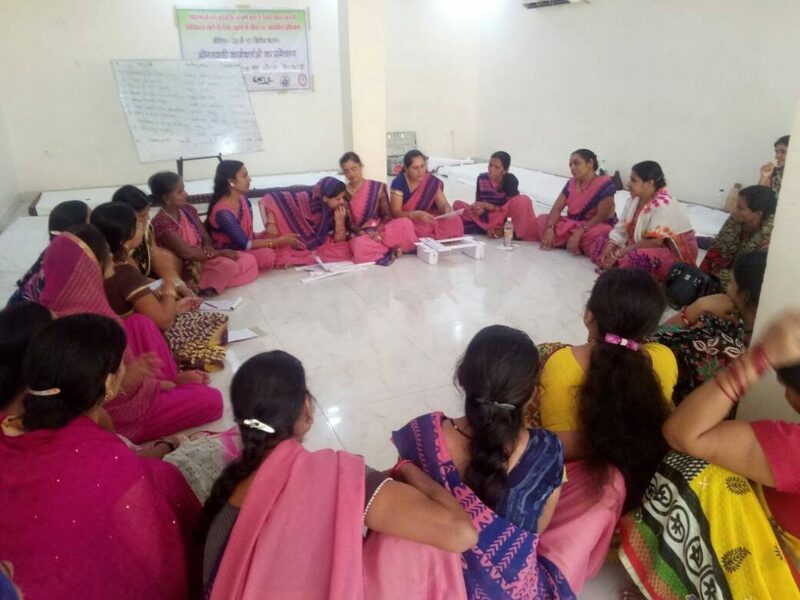 Anganwadi Workers (AWWs) are the frontline workers, who provide services to children and mothers under the government’s Integrated Child Development Services scheme (ICDS). Through the food and nutrition security programme, AWWs have been provided specialised training on using PLA techniques to enhance their knowledge of causes of undernutrition and malnutrition, of the community’s current food intake and hygiene practices as well as of food groups and locally available varieties, including uncultivated food. The sessions are aimed at equipping AWWs to promote behaviour change towards better nutrition and health among women (15-49 years) and helping them engage more effectively with the community. “Earlier, I could not speak confidently. But now through the techniques and tools such as picture cards, posters, stories, and games, learned during our PLA training, it is easy to teach them. My confidence levels have increased as well,” explained Papita Adivasi, an Anganwadi Worker. 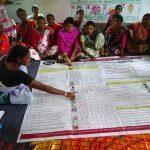 The AWWs have also been trained to use tools such as growth charts for monitoring undernutrition in children, to develop seasonal food availability calendar and on nutrition gardens. They, along with MGSA, have supported families in setting up nutrition gardens in the project area. In Sawadi, 40 kitchen gardens have been established so far, a move welcomed by district administration as well as the civil society. “Communities have to initiate themselves to eliminate malnutrition from Sheopur. 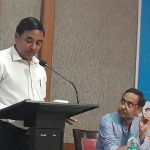 Participatory learning process and nutrition garden are well-turned initiative, we will try to spread it in the entire district,” said Mr. Abhijit Agarwal, District Collector, Sheopur. The community also approached Mr. Agarwal for the revival of the village pond, insisting the move would resolve the water issue also help generate jobs. The District Collector agreed and approved a fund of 13 lakh rupees (approx.18500 Euros). As a result, 65 families got employment. Through this move, the community is now able to get sufficient water for drinking and domestic use as well as to irrigate their nutrition gardens, which has led to improving nutritional level among children. “In January this year, I saw nutrition gardens in almost every house of Sawadi. Also, the intake of vegetables has increased in the daily diet of the residents. Women in the village now tell us that they eat vegetables and include it in the meal of their children as well. I see it as a great learning,” said Dr. Parmar of MGSA. 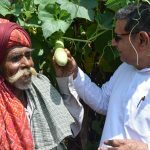 For Mr. Kailash Parasar, Sheopur’s Ayog Mitra or friend of Madhya Pradesh Human Rights Commission, the nutrition gardening is an important effort. “The problem of malnutrition is very serious in tribal areas. Sahariyas used to eat tree leaves as vegetables, which didn’t give them complete nutrition. 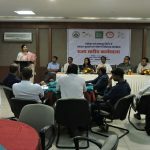 It is heartening to see that they are consuming varieties of vegetables now,” said Parasar, who works towards spreading human rights awareness. For the 14-year-old Arati, the community meetings have proved to be an eye-opener on hygiene. “I was sent to forests during the periods. Neither my mother nor I discussed it. During one of the meetings about menstrual cycle at the Anganwadi centre, for the first time, I came to know about the importance of hygiene and learned to use a pad. I also came to know about nutrition and health. I have formed a group of adolescent girls, where we discuss such matters,” said Arati. “Over the past few months, 75 percent families have got toilets constructed in their homes,” Mr. Dongare added. 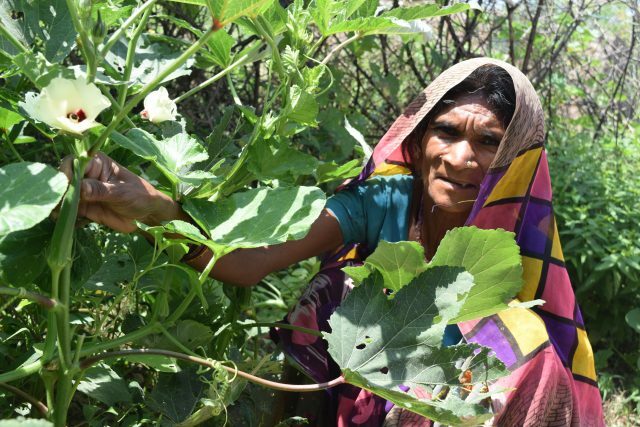 In partnership with Mahatma Gandhi Sewa Ashram (MGSA) and Darshna Mahila Kalyan Samiti, Welthungerhilfe is implementing the food and nutrition security project in 100 villages of Sheopur and Chhatarpur districts of Madhya Pradesh. The GIZ supported programme is part of the German Federal Ministry for Economic Cooperation and Development (BMZ)’s global initiative ‘ONE WORLD-NO HUNGER’.